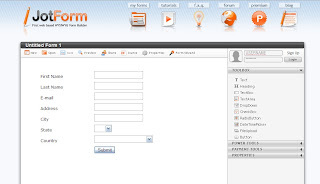 Jotform is a web based WYSIWYG form builder, that allows you this tool to create forms, such as feedback, register, web link, integrate them to your site and collect submissions from your visitors. It is simple to using, and you have some different kind of forms to choice. Click picture below you can add web link on my site.